A vegan and cruelty free coloring in one easy step! 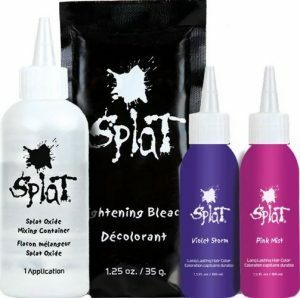 Lasts for about 10 washes and the lighter your hair, the better the results! In 30 minutes, a VitaminB5, Peroxide, Bleach Free and non committal coloring can add to your style. This is a great way to get your weekend “DO” on and add some color to your fun! Love, love, love the pink!